In a huge relief to Harish Rawat government, the Supreme Court said all the 9 rebel disqualified Congress MLAs will be not allowed to vote in the floor test. Sacked Chief Minister Harish Rawat will seek a vote of confidence on May 10. 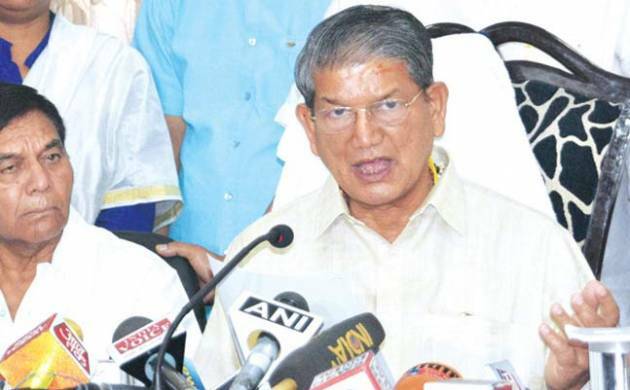 In a huge relief to Harish Rawat government at Uttarakhand, the Supreme Court said all the 9 rebel disqualified Congress MLAs will be not allowed to vote in the floor test. Sacked Chief Minister Harish Rawat will seek a vote of confidence on May 10. Earlier, a Bench comprising of Justices Dipak Misra and Shiva Kirti Singh took a decision to keep away the rebel Congress MLAs from participating in the floor test by observing that “if they (disqualified MLAs) have the same status” at the time of vote of confidence, they cannot participate in the House. The proceedings were directed to be video-graphed by the apex court which said the confidence vote will take place by division under the watch of the Principal Secretary, Legislative Assembly. The top court said before the floor test will be initiated, the President rule will be kept in abeyance from 10:30 AM to 0100 PM and during that period the Governor shall remain in-charge of the State. It said the result of the voting shall be placed before it at 10:30 AM on May 11, 2016, in a sealed cover by the Principal Secretary, Legislative Assembly who will come with the documents in a sealed cover and the video recording of the proceedings. At present, in the 70-member assembly, BJP has 28 MLAs, Congress has 27, BSP has 02, while there are three independent MLAs and one belongs to Uttarakhand Kranti Dal (P) lawmaker. Nine rebel Congress MLAs have been disqualified by the Speaker. One BJP MLA, B L Arya defied the party whip and voted with the government on the Appropriation Bill on March 18.